Before last week, I had never been to Fremont, MI. I really didn’t even know how to get there without putting an address in to my GPS. That’s kind of rare. There aren’t many places I haven’t been in the Western part of the state. Of course, I was with C.W. who likes to eat out and find “new and exciting places.” I didn’t even know where to start in this unfamiliar territory, so I headed towards downtown. 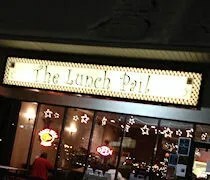 As we were driving down Main Street, I noticed the sign for a little spot called The Lunch Pail in the West Village Center shopping center. C.W. noticed there was an open sign in the window and a Boar’s Head neon sign, so I found a place to turn around and we headed back for sandwiches. 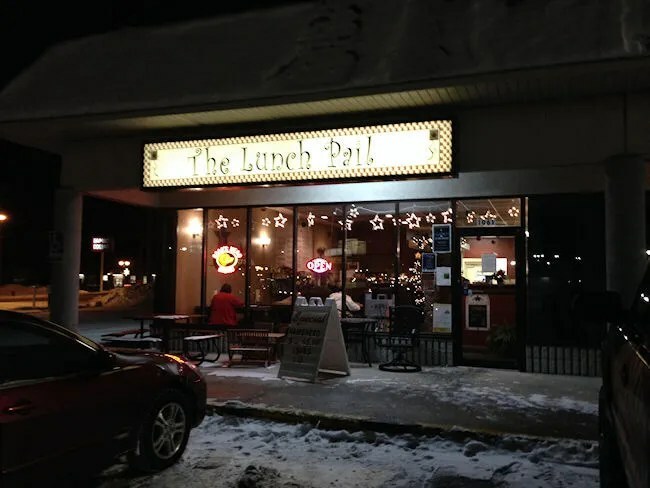 The Lunch Pail is a small sandwich shop on Main Street (or M-82) on the west side of downtown Fremont. The restaurant has a couple booths as well some four top tables inside the small dining. 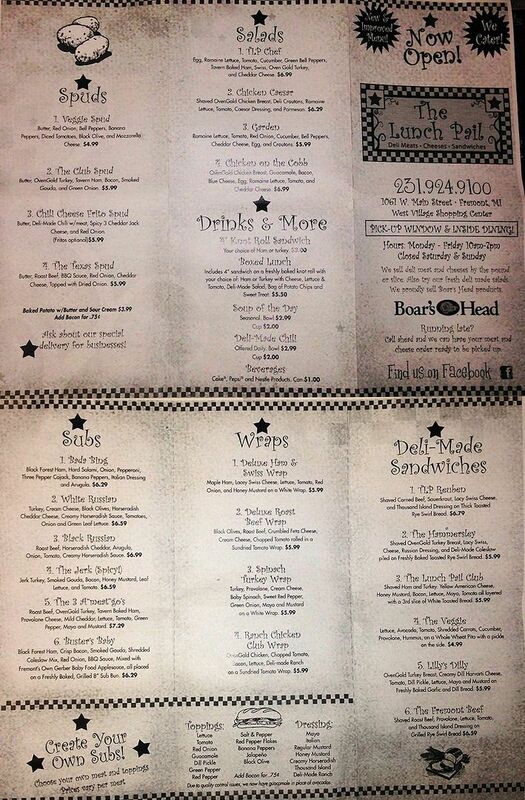 The order counter has a large menu board off to one side and there is a deli case where you can pick up bulk meat to make your own sandwiches at home. C.W. stepped up to order first. She ordered Lilly’s Dilly. This sandwich is served on Garlic and Dill Bread with OvenGold Turkey Breast, creamy dill Havarti cheese, tomato, dill pickle, lettuce, mayo and mustard. The sandwich came stacked pretty high with the turkey which was kind of a turn off for C.W. 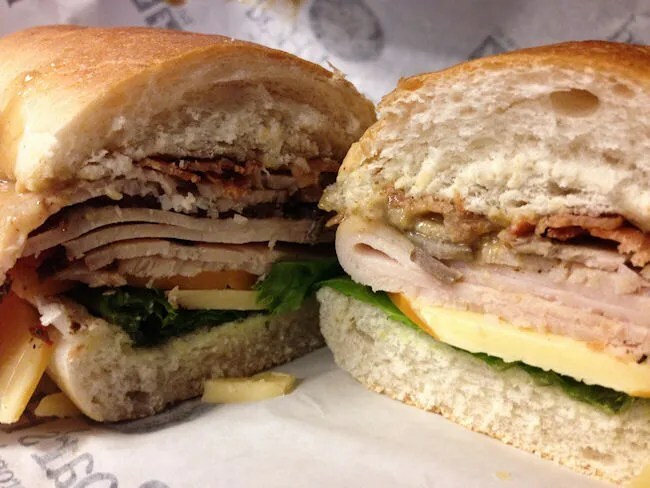 She said the sandwich was delicious, but she’s not a huge meat eater and would have preferred a little less turkey on an otherwise yummy sandwich. I ordered a sub called The Jerk. The sandwich, served on a white sub roll, is jerk turkey, smoked gouda, bacon, honey mustard, leaf lettuce, and tomato. I was pleasantly surprised with this one. There was quite a bit of flavor going on with this one and it was pretty spicy. The combo of the jerk turkey and honey mustard gave it quite a kick. Both of us added on a can of pop which brought our bills to a little over $8 each. In a strange town, needing a quick dinner, The Lunch Pail delivered a delicious, quick dinner when neither of us thought we’d even get a dinner break.